Alta Vista provides materials assessment and evaluation for quality assurance and verification, materials engineering, testing oversight, and source inspection for the Union Station/Patsaouras Plaza Busway Station design-build project for the Los Angeles Metropolitan Transportation Authority (LA Metro). The project involves widening along both sides of the existing busway bridge to accommodate a new passenger busway station and an enclosed overhead walkway from the existing plaza to the new platform. Our quality engineers and special assessment inspectors help ensure that raw and fill materials, fabrication processes, and personnel certifications comply with the contract requirements. We also perform oversight assessment and verification of in-process quality control testing. We provide these services for a wide range of materials on this project, and perform condition assessments of work performed both at the source of materials and in the field. 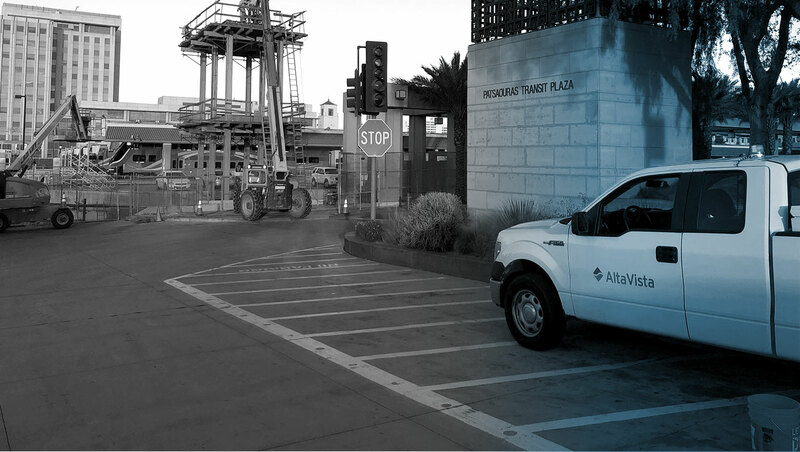 Alta Vista’s nationally certified support resources, including AASHTO, ACI and PCI-certified engineers and inspectors, draw on their knowledge of materials evaluation and condition assessment to support this project in close collaboration with LA Metro.